Muskrats although primarily nocturnal, can be extremely damaging. 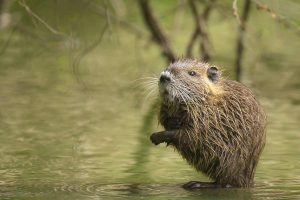 By making burrows in pond banks and dams, muskrats can greatly impact the integrity of a pond or lake. Muskrats are herbivores which feed primarily on tender grasses and soft aquatic vegetation, making any landscaping a potential threat. Trapping of these animals can save years on banks, dams and aquatic vegetation.